Erison Peña, known to many as LD (which stands for “Legendary”) is a fiery young talent hailing from the Dominican Republic. Born in his native country on January 4, 1989, he immigrated with his parents to New York at age six. They settled in the Bronx where, even as a young child, he was surrounded by the sounds that would shape his creative spirit. LD’s musical influences started from a very early age through his father, Joe Peña, himself a regarded musician and producer. He would encourage LD to perform whenever possible in order to hone his skills. Other family members - two uncles, a grandfather and a brother – also contributed to LD’s musical upbringing. Another big influence on the trajectory of his career is the artist Baby Boy, a cousin. He ranks Justin Timberlake among his favorite artists. LD is a father, adding to his considerably deep well of inspiration. This new stage in his life has made him more prolific than ever, as both producer and composer. His inspired lyrics and intuitive sense of melody make LD’s productions stand apart. As his star continues to rise, time will prove LD’s legendary nickname a reality. Jhoni (a.k.a. Johnathan Ramos) is an artist born in the Dominican Republic on October 22, 1990. The budding singer and producer realized his passion for music as early as age six, when he would perform for friends and family members. He arrived in New York at age ten when his parents decided to pursue a better life for their family. By age 11, he was already composing his own material, although he didn’t have the means to record music. He avoided generic beats or samples, insisting on originality for his success. His introduction to music production software opened up a new world of creativity. From that moment, Jhoni studied the production techniques of Dr. Dre, Timbaland, Luny Tunes, Scott Storch and others for inspiration. It wasn’t long before he was creating beats and producing songs on his own. Jhoni attended Full Sail University, regarded as one of the premier art, music and film schools in the world. He completed a BA in Recording Arts and brought back with him a wealth of knowledge that would inform his already vast skills as an engineer and producer. It was just after his return that he – alongside producer LD (Erison Peña) and renowned producer/musician Angel Fernandez – engineered and mixed his debut CD recording. Upon recently meeting one of his heroes, superstar Marc Anthony, the singer advised Jhoni to always try to learn “something new every day”. This had a major impact on the young star and inspired his continuing musical and creative journey. 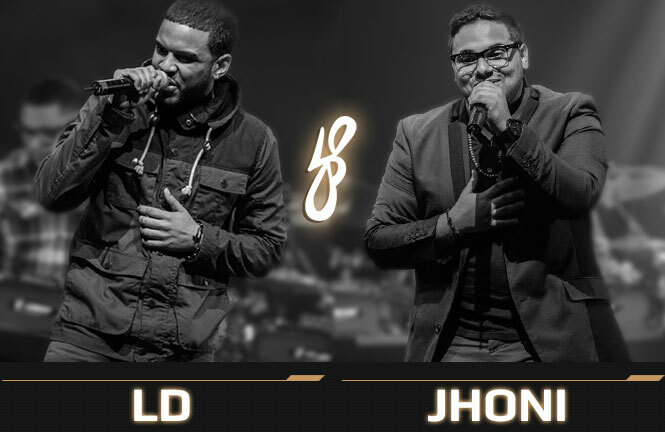 These days Jhoni, along with his friend and producing partner LD, create music that range from Pop, R&B, Hip-Hop, Bachata, Salsa and Reggaeton. Some of his musical influences include Luis Fonsi, David Bisbal and Donnell Jones. LD and Jhoni are inseparable and continue to write and produce music every day. Their pure creative talent - along with well-honed musical and production skills – make them a force to be reckoned with and they will surely help to shape the future of Latin and contemporary music.